How do I add or remove music to my Collection? 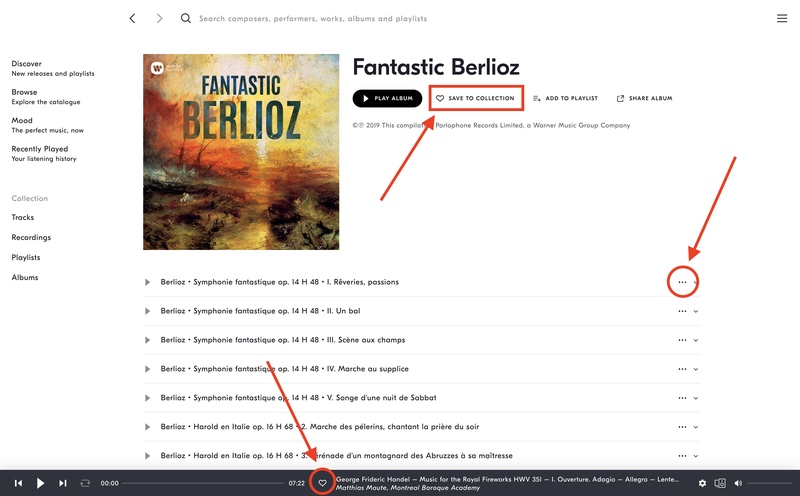 On IDAGIO, you can compile your own personal collection and enjoy your favourite classical pieces everywhere you go — even when you are offline! There are four categories in your collection: tracks, recordings, playlists, and albums. Adding music to your collection is as simple as tapping the heart icon (♥) that appears next to every track, recording, playlist or album. Simply tap the heart icon and the track, recording, playlist or album will be added to your personal Collection! On our desktop and web versions, you can always add a track to your Collection by clicking the heart icon (♥) that appears in the music player bar on the bottom of the screen. Recordings, playlists and albums will always show the option Save to Collection in the menu under their name and basic information. 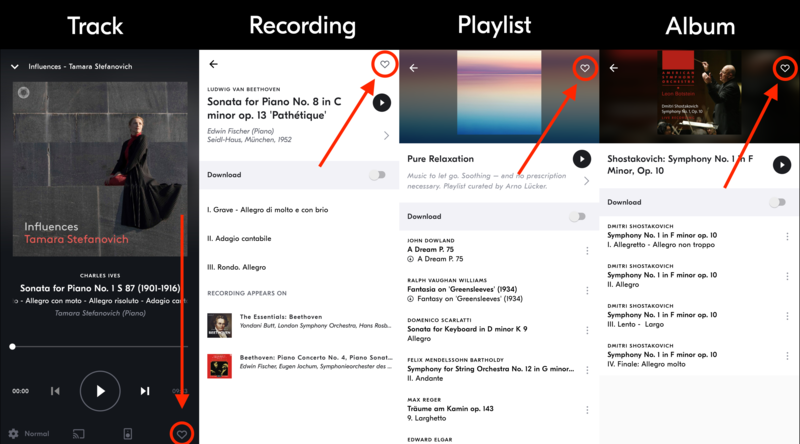 Moreover, you can also add a specific track on a recording, playlist or album to your Collection by clicking the three dots icon (…) on the right, and selecting Save to Collection. In order to remove music from your Collection, simply tap or click the heart icon (♥) again, and the track, recording, playlist or album will be removed from your Collection.